Sanjay Ghodawat International School, Kolhapur aspires to nurture each child as a well-rounded personality. The school lays equal emphasis on outdoor activities like field trips, trekking, bird watching, nature walks and adventure camps. These outdoor activities are organised at regular intervals to provide experiential learning to students. 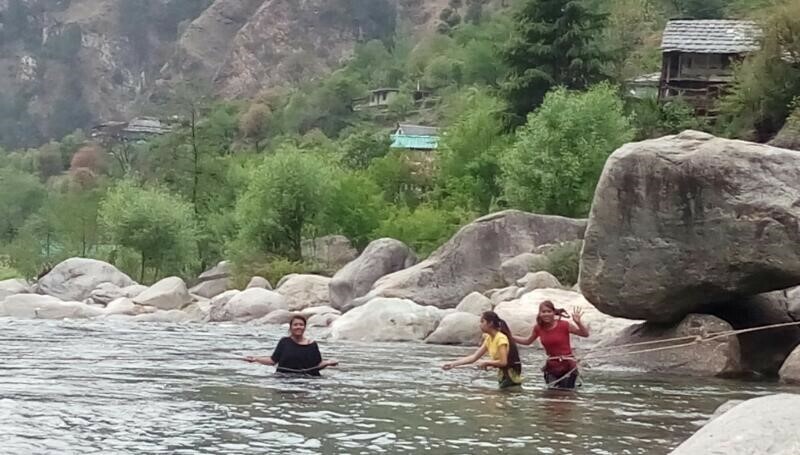 As part of the IAYP programme the participants enthusiastically took part in different Adventurous Journey related activities. 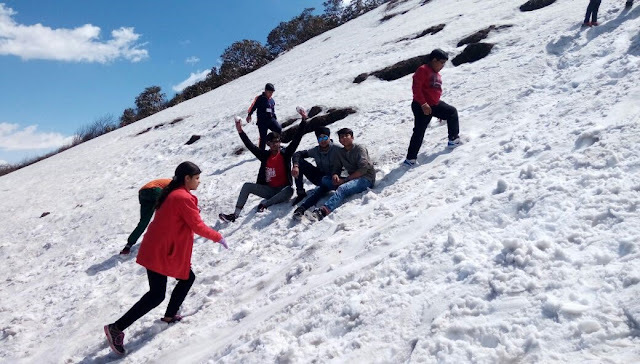 An Adventurous Journey Preliminary Training and Practice Journey Camp was organised to provide a great learning experience for the participants. The practice journey was planned for two days and one night. The students were accompanied by six teaching staff and four attendees. The journey was led by the school’s physical education HOD I. Y. Kenchennavar. Afer the successful completion of the Practice Journey, the Qualifying Adventurous Journey was planned for 12th and 13th November, 2016. As the day of the journey approached the participants were very excited. The venue was the Reserve Forest near Ramling Temple, which is around 12 km away from the school. The place is an idyllic spot surrounded by lush greenery and perfect for an adventurous journey. The team carried all necessary items like rice, vegetables, flour, spices, utensils, lights, etc. 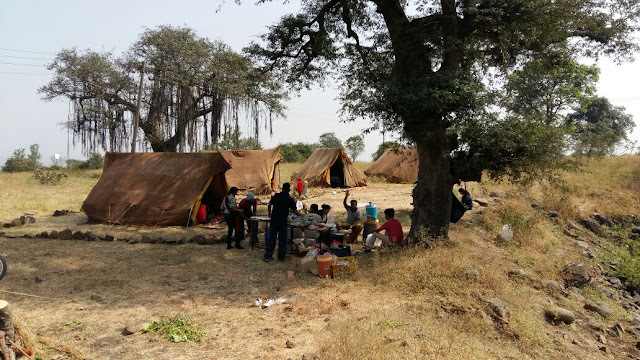 After reaching the venue in the morning, the group cleaned the area and pitched five tents. The participants showed aesthetic sense by decorating the tents with flowers and green leaves. The participants were divided into three groups Zinghat, The Squad and Bampatjal. Different activities like rope exercise, SOS and other team building activities were performed during the day. Later the students brought firewood. At night all the students lit the camp fire. The students played games, sang songs, narrated stories and danced around the fire. At 10 PM students had dinner and rested for the day. The next day, the participants woke up at 5 AM and went on a trek. During the trek, the participants were involved in many activities like bird watching, collecting rare plants, peacock feather collection, etc. They returned to the tent at 10 AM. After breakfast, many team building games were organised like a treasure hunt, essay writing, drawings, etc. The beauty of this place will just mesmerise any trekking enthusiast and it is simply breathtaking. Forty-five Bronze and Silver participants of Bawa Lalvani Public School, Kapurthala (Punjab) accompanied by five mentors trekked to the Great Himalayan National Park from 31st March to 6th April 2017. The entire trek was really beautiful and serene. Close to the base Camp Himalayan, the participants experienced the natural beauty of the 'Jhoi' waterfall and trekked and manoeuvred through the crystal clear, flowing River Tirath. 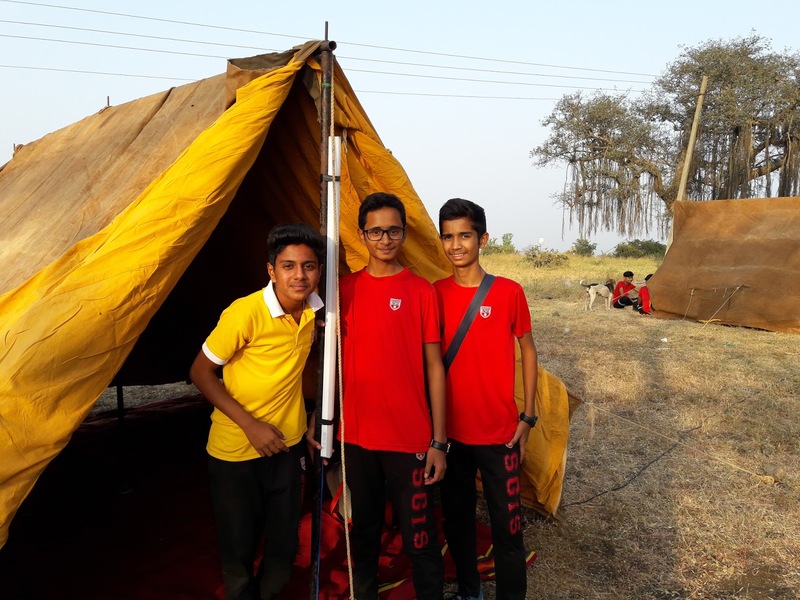 The camping experience helped the participants to introspect and develop a perspective to engage in more adventures in the times ahead. Besides trekking the participants also did the different Adventurous Journey related activities too. Splashing under the waterfall was a memorable experience for the entire team. Award makes for a wholesome and holistic growth of the young people. The IAYP Showcasing reflects the whole experience of the Award Programme during the year, which gives a great confidence to the participants, because of the skills they acquire, the emotion quotient that they get out of being with the group together and the community participation that plays a pivotal role. The young people do many activities and when they associated with the Award, they got a chance to do many more, as they are not stuck in only academics; they develop a well rounded character. I would say that, doing the Award programme individually and doing it as a group gives one a feeling of belonging. It gives a feeling of well-being and all that put together makes for a wholesome and holistic growth of the young people. 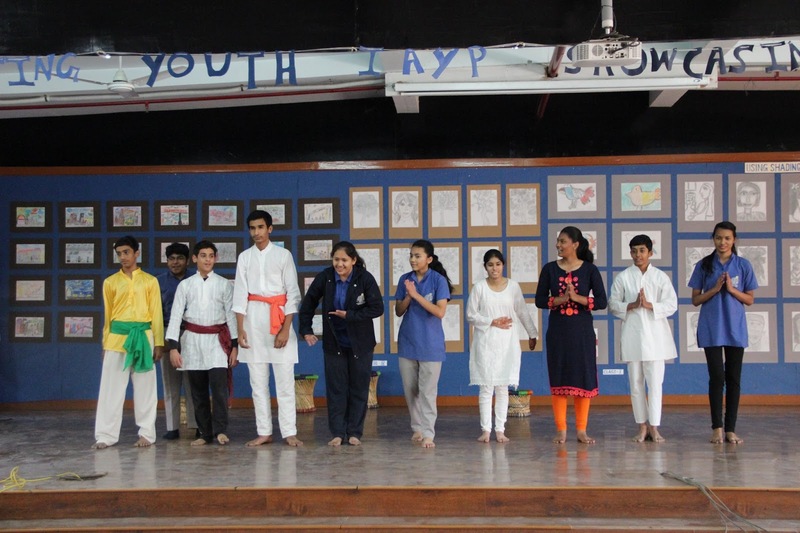 St. Mary's School, Safdarjung Enclave, Delhi organises biannual IAYP Showcasing. This year the event was organised on 23rd February 2017. Tanishakha Singh, Bronze Award, shares a report on this event. At St. Mary’s Safdarjung Enclave, Delhi, IAYP is equivalent to celebrating a variety of skill sets, and the biannual showcasing is the time when all IAYP Participants come together to showcase their spirit and valour. On 23rd February, 2017, we came together and co-created this space to collaborate and represent our newly learned skills sets, our immersion with the community, and our physical fitness through various creative means. To celebrate this occasion with us we had Prof Sumangala Damodaran, Dean of the School of Development Studies, Ambedkar University, Delhi and Mr. Kapil Bhalla, National Director, IAYP. The different clubs used a designated space within the school campus, and they used this creatively to depict their learning. To boost our motivation, our parents were also present. The presentations were all done by the students and so was the coordination, ushering and compering, therefore, this gave us an idea the idea that not only helped to hone our leadership skills but also student participation and teamwork. The ushers Devanshi Sharma and Deepti Ghosh led the gathering of guests to various locations to display the work. The photography club had displayed various pictures clicked by the students and Silver level Participant Chirag Wadhwa led the group in explaining the meaning of various photographs; we received wide acclaim from the guests. The physical recreation group presented a rare display of kinaesthetic and psychomotor abilities clubbed with complex coordination. The crafts clubs had used simple media to depict illustrations in the works of Devdutt Patnaik, it was interesting to see the works displayed through folders that were very handy for usage. The painting group had presented some interesting creations on one of the school walls and the young artists explained its importance to all. The sculpture skills group presented their creations, which were amazingly carved out faces. The faces were presented in a very interesting manner by the group. The western music group, Hindustani vocals and instrumental and dance clubs made their presentation in the auditorium. Bronze Awards and Silver Award Participants Retika, Nitiksha and Juveriya were instrumental in binding together the various club performances and presentations. The Hindustani vocals and instrumentals presented a very motivating song by Indian People’s Theatre Association. The community service group had presented a very impacting and strong play on the farmers’ issue, which is highly relevant to the current context; the most hard hitting lines were, “we all aspire to become, doctors etc, but we do not realise that it is farmers that we need the most for our sustainability.” This way they stressed on the need for dealing with the farmer suicides and debates. The ecology club had set up an assortment of techniques to spread organic lifestyle, for instance, there was a demonstration of extracting rose syrup and using the same for flavouring rassgulla. These techniques are highly useful for arresting climate change and environmental degradation. Later our guest of honour Prof. Damodaran, who is a prominent figure in the performance arts circle led the group to sing “jhoom jhoom ke nacho gao” which was highly motivating for us. At the end we were served some wonderful dishes made by the cooking club. Looking Looking back to year 1976…. the first time my class ever heard of the name DEAS, when Cdr T. Almedia came to our school to present the Award Programme. Even though I was in the Scouts and member of the School Mountaineering Club, the reason I joined was the aspect of self-motivation of the Programme and Adventurous Journey. My Award Journey was from 1976 to 1979 where I made new friends and completed my Bronze, Silver and Gold. Undertaking the various sections during my Award journey helped me in many ways in looking at the same problem with different angles. 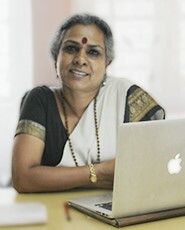 The Social Service section helped me to give my spare time to others in society and even today, when time permits, I do help out with the programme Teach India. The Adventurous Journey section got me out from my inner self. This section, during my time, was the most sought after section. It did make one realise their true motivation and the limits one can go to. At all three levels we had to cook all meals and I have had the pleasure of moving around Maharashtra in the interior regions too. Marksmanship as my Skill taught me to be cool, calm, patient… I was really happy that finally I could make it to the All India Shooting Competition level. The Physical Recreation session under the Physical Efficiency Test would bring all boys in the Award Pogramme every Friday evening, which we looked forward to. Residential Qualification was really the turning point where I met different people from Maharashtra staying together for a period of 5 days and undertaking the cleaning of our Award Campsite at Matheran. Even though I did follow in my Dad’s footsteps by joining him in business, my lust for the outdoor, which I had developed through the Award Programme, made me start an Adventure Company with my friend as partner; this later became a proprietary concern and at present, for the past two years, I am affiliated with Adventure Tours firm in Mumbai as an Adventure Programme Manager handling more than 750 schools in India. Having gone through the Award programme in many stages as a Volunteer, Asst. Regional Officer, Award Leader, on the Committee of the GAHS, West Zone Award Authority, it has given me great satisfaction that I have helped many young people going through the Award Programme and helped change their lives. Many still do call me up and even come to meet me whenever they are in town. Our Gold Batch of 1979 does still meet at least twice a year and we look back to our golden years that we all spent together while participating in the Award Programme. Yes it has given me the bread and butter in my life, maybe I am a changed person and I do wonder if I had not undergone the Award Programme, would I still be out in the Nature, Wild... always making new friends every week… or… sitting behind a desk doing a normal 9 to 5 job… Yes I do have a lot to pen down… it did bring back memories and tears… even the first International Walsall UK Exchange in the year 1980/1981…. I am in touch with my friends from Walsall….. Yes the Award has transformed me from the quiet, shy boy I was in school, to who I am in the present.